If you have ever visited Albuquerque Old Town Plaza on Christmas eve, its quite an enchanting experience! It’s a tradition in my family, and for many others as well. There you’ll find luminarias lining every sidewalk, adobe wall, and rooftop. A live nativity is displayed, including stable animals. Live music is performed on street corners while people file in and out of all the gift shops and restaurants that line the plaza. A huge Christmas tree made from smaller trees (you have to see it to believe it) glitters in the night. There are adobe alleyways paved with saltillo tile that lead to charming courtyards off the beaten path. Christmas lights and chili ristras are everywhere. I love to wander around with a steaming hot cocoa in my hands, just enjoying the atmosphere. 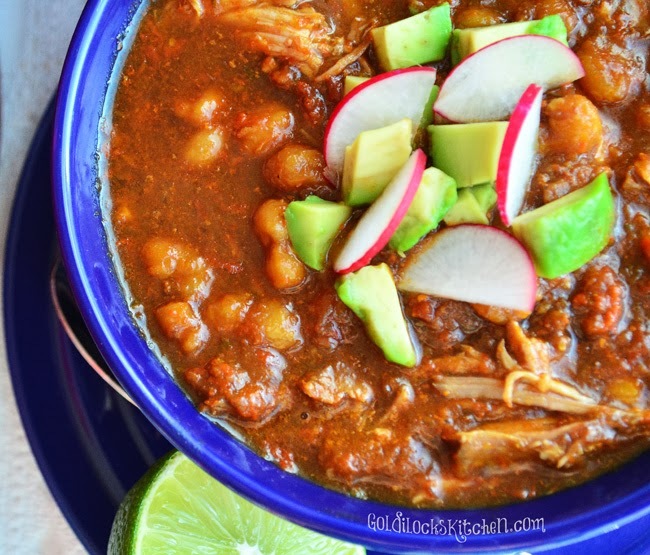 And most important of all, I always stop to eat a bowl of Posole to warm me from the inside out. pops up especially around the holidays. 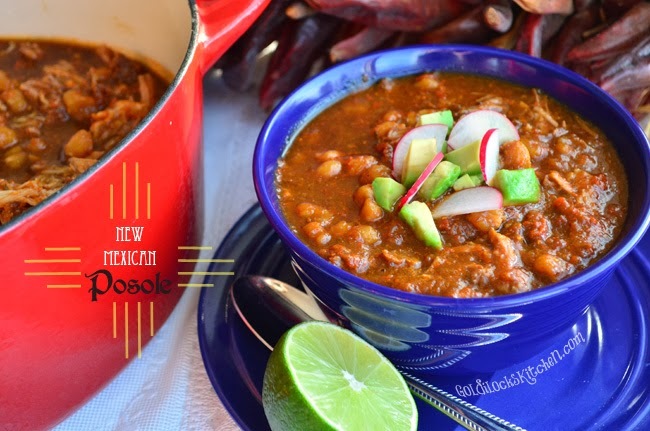 You’ll love this recipe even if you’ve never had a hot bowl of Posole before. Plus there are a few techniques in this recipe that really help to squeeze every ounce of incredible flavor from these fabulous ingredients. Traditional Posole is made with water, but we’re going to replace that with chicken broth, which is a no-brainer for flavor. I’ve learned that replacing water with chicken broth can make a HUGE difference with almost every recipe I cook. It adds tons of yummy flavor. The pork in this recipe is browned on all sides before cooking in the broth (remember color = flavor) and the Hominy is also cooked a bit in the pork fat, enhancing the great corn taste. The chiles called for in this recipe (Ancho) are the dried chile pods of Poblano chiles. This isn’t a spicy stew, so if you’re worried about your mouth catching on fire, worry no more. They are quite mild as far as chiles go and can be found in most supermarkets in the Mexican food isle. Look for them hanging in clear bags. Also take note to remember to discard all fat from the meat as you’re shredding it. It’s really un-appealing to have any chewy pieces of pork fat in this stew. And don’t forget to remove the fat/grease that rises to the top when you are at the last step in the recipe. That can also be rather un-appealing. You can garnish the stew with a mix of chopped avocado, radish and cabbage, but I like mine just the way it is, served with fresh tortillas on the side. Enjoy! Incredibly delicious and deeply flavored pork and hominy stew famous in New Mexico. Some like it hot, this version is not. (The chile I use is mild with great flavor.) Enjoy a bowl on Christmas eve. Set the oven to heat at 350 degrees and move an oven rack to the middle position. Place the chiles on a baking sheet and bake them for about 6 minutes, or until puffy and fragrant. Remove and set aside to cool. In a Dutch oven, set 2 tablespoons of oil to heat on medium-high. While warming, pat pork dry with paper towels and season with salt and pepper. When the oil just starts to smoke, place the meat in and brown all sides well, about 10 minutes. Transfer pork to a plate and set aside. While the pork is browning (being careful to check on it often so it doesn't burn), remove the stems and seeds from the chiles. Place chiles and one cup of broth in a microwave safe bowl. Cover with plastic wrap and microwave 2 minutes. Set aside to soften and finish searing the pork. Add in the hominy to the empty pork pot and stir frequently until it is fragrant and begins to darken, about 2 to 3 minutes. Transfer the hominy to a bowl and set aside. Heat the remaining oil in the now empty pot and cook the onion until softened, about 5 minutes. Stir in the garlic and cook for 30 seconds. Scoop out the onion garlic mixture and put into a blender. Add the Chiles and broth and puree mixture. Pour the remaining broth, red chile mixture, pork, oregano, 1/2 teaspoon salt and 1/2 teaspoon pepper and bring to a boil. Reduce heat to medium low and simmer covered for 1 1/2 hours. To finish the stew, transfer the pork to a clean cutting board or plate. Add in the hominy and simmer covered for about 30 minutes. 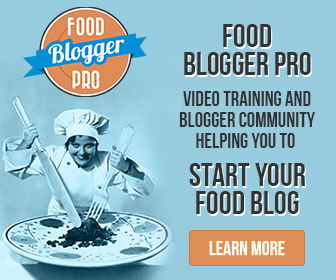 Using a large spoon or ladle, skim as much fat from the top of the broth as possible. Using two forks, shred the pork into bite sized pieces, discarding any fat. Return to the pot and add the lime juice and season with additional salt and pepper to taste. Serve.